Alright ladies, buckle up. I am about to give you the ultimate guide to fall hair colors. 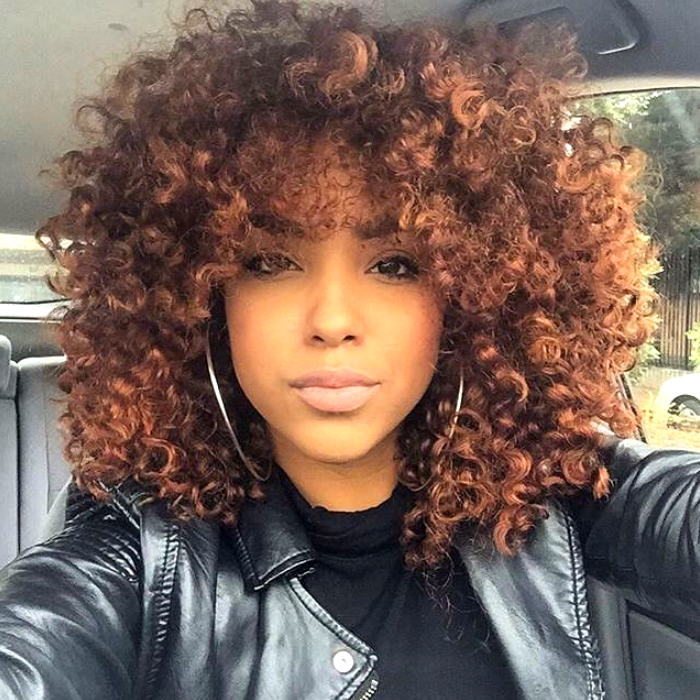 I want to cover all the fall hair color and styles. It will include cool hair colors, warm hair colors and colorful hairstyles. Picking the right fall hairstyle isn’t complicated, you just need to figure out what mood you’re in. 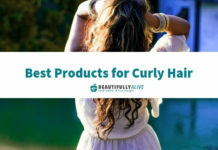 You don’t have to stick to the hair trends of 2018. Be unique and find the right color for you! Try something new and out of the box! It’s a gorgeous time of year and it’s all about warm colors, falling leaves, and sweater weather. Summer might not be over quite yet, but it’s definitely time to start thinking about fall styles. You can easily set off any fall look with the perfect hair color. I don’t want to pretend to be an expert here because I don’t know everything about hair color. But I used to color my hair constantly and have been through practically every color there is, either on purpose or by accident. The key is to have fun and open to new things. You might find a look you love or one you will never try again. Either way, it will be an adventure and something completely new! So a little tip for fall hair colors and styles, most people will be transitioning to warmer colors. It’s like the whole world seems to gravitate toward yellows, oranges, reds, and greens. Every color is much darker or deeper. So a lot of people want to have hair colors to match the clothing. 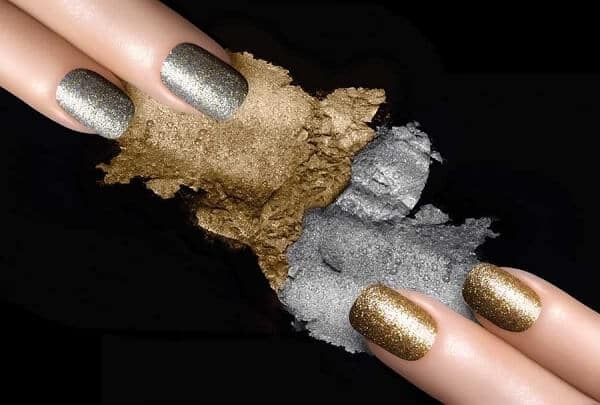 They opt for coppery colors, golden blondes, or deep chestnut and Auburn. Not everyone will feel the need to switch their hair color based on the season. You shouldn’t either. Hair color is not that important. But it can be a fun transition! It can also be fun to change your hairstyle to give it a little more shape or get a short haircut. It can be really satisfying to do both at once, it feels like a much more satisfying change to your entire look! There have been a lot of interesting hair trends in 2018 and I want to give you the lowdown. It certainly doesn’t seem like they’re going anywhere soon. You may already recognize a lot of them because they have been trending for a while now. But there are a few new ones that I had to look up because I had no idea what they were. Maybe they will give you some fresh ideas! I am positive you’ve heard of these before. They have been around for what feels like forever. But that’s fine with me because when they are done right I think they are absolutely gorgeous! Most of you are probably wondering, what is the difference between the two? I’ve looked it up a bunch of times and gotten and a bunch of different explanations. So I’ll pass on my basic understanding. But don’t quote me on this because I’m sure there are plenty of people who will disagree. Balayage is a much more natural transition between colors. 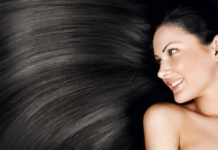 So the top of your hair could be your natural color. Then the bottom half of your hair will be lightened ever so slightly. 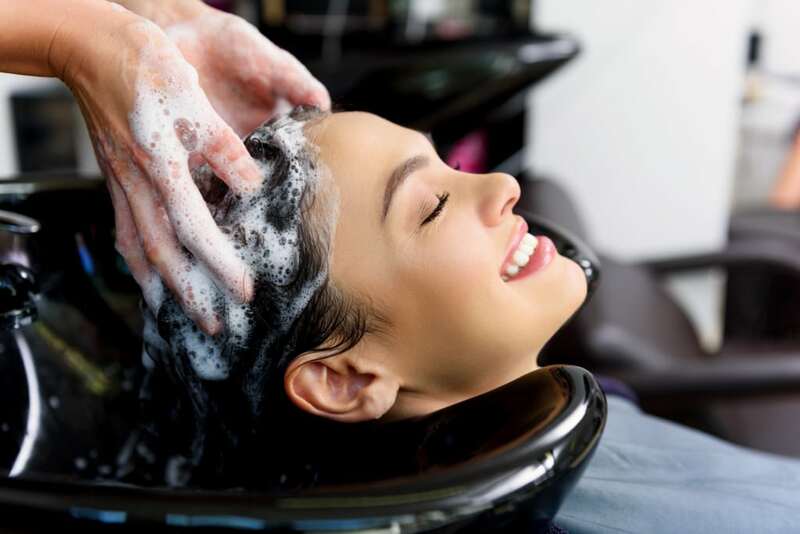 It looks lovely when you have deep brown or black hair and you transition into a lighter or richer color brown, or reddish brown, on the bottom. 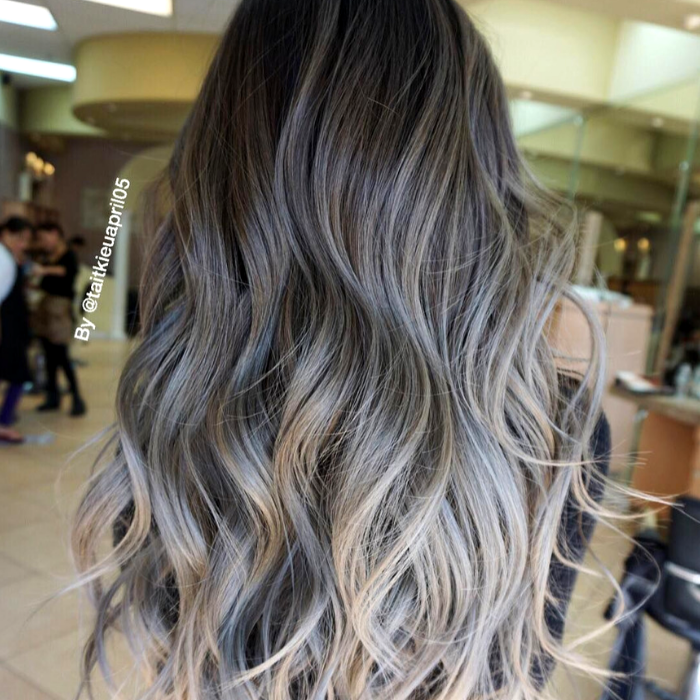 Ombre is a drastic transition from dark roots to a much different color on the bottom. Such as going from a dark color at the roots to a platinum blonde on the bottom. Or even a dark blonde or copper color. I would recommend a balayage on short hair because it is more subtle and natural looking. Ombre on short hair is a little too drastic and may not always turn out the way you were hoping. I honestly had to look this hair trend up. When I looked it up, I realized that the 90’s are coming back to haunt us in new and creative ways. 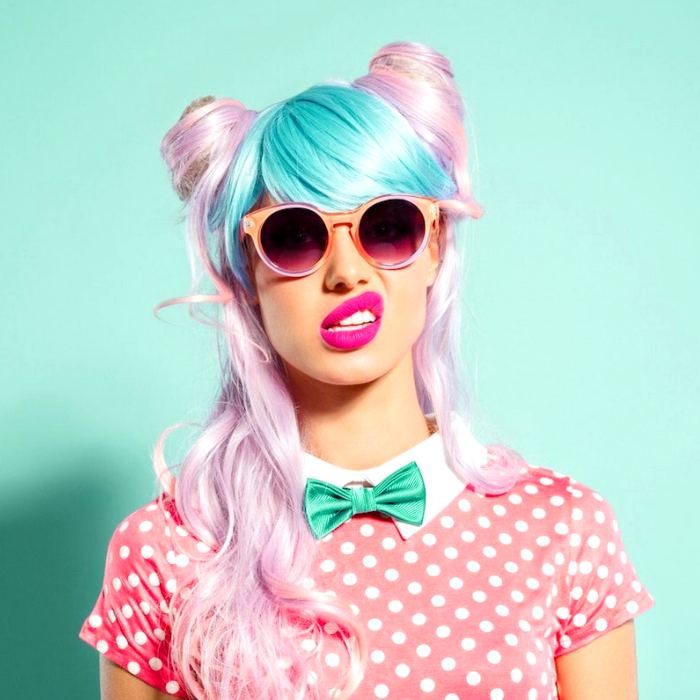 There are three different version of the two-toned hair trend. The first one is the one I think of as more of a 90’s hair trend. I honestly never thought I would see it again. But people might be able to pull it off these days, you never know! 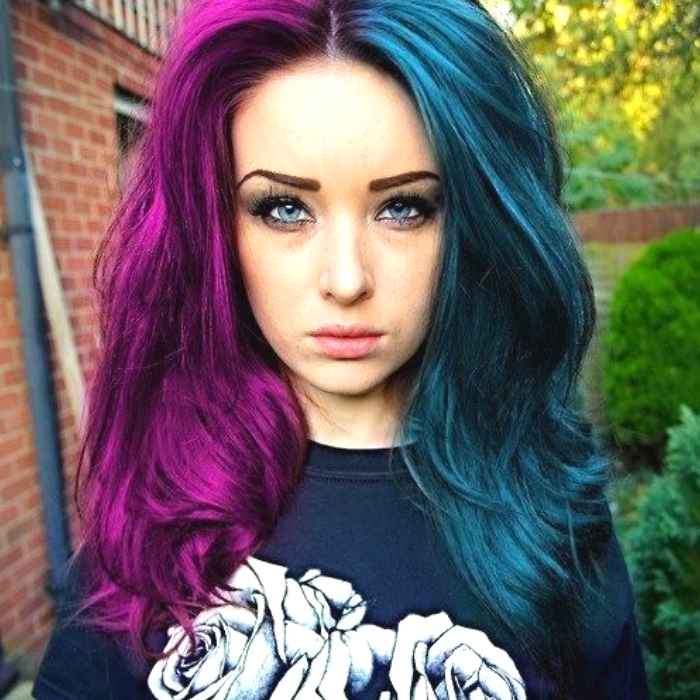 Then there is the two-toned hair color that is literally two colors. Half and half. I can’t say I have ever really wanted to try this style. But I love it when people are bold enough to try something different. Dying my hair bold or unnatural colors is one of my favorite things to do. The downfall is the fact that it’s way harder to get your clothes to match your hair. But hey, you have to pick and choose your battles. 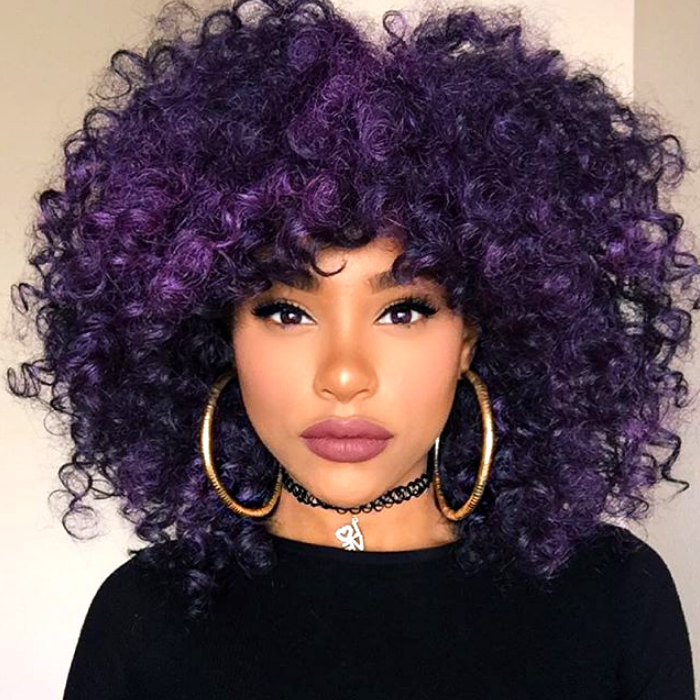 This style really takes colorful hairstyles to a whole other level! 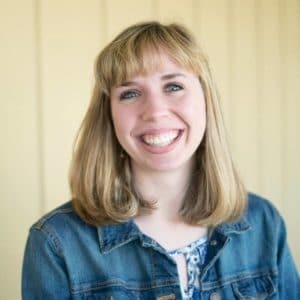 So if you want to look drastically different this fall, these could be the fall hair colors for you! Last of all, two-toned hair has one final style you could try. We don’t see it that often on the streets, at least not where I live. But I have to say, I think it would be a fun style to try if you love having bangs. This two-toned hair color is done by dyeing your hair one color and your bangs another color. Talk about different! Originally, I had no clue what flannel hair was. Not going to lie, it didn’t sound that appealing. But I have to say, this is quite the look. It’s also the perfect fall look because it’s a mix of fall colors in one hairstyle. So not only is it interesting and very unique, it totally fits the season. 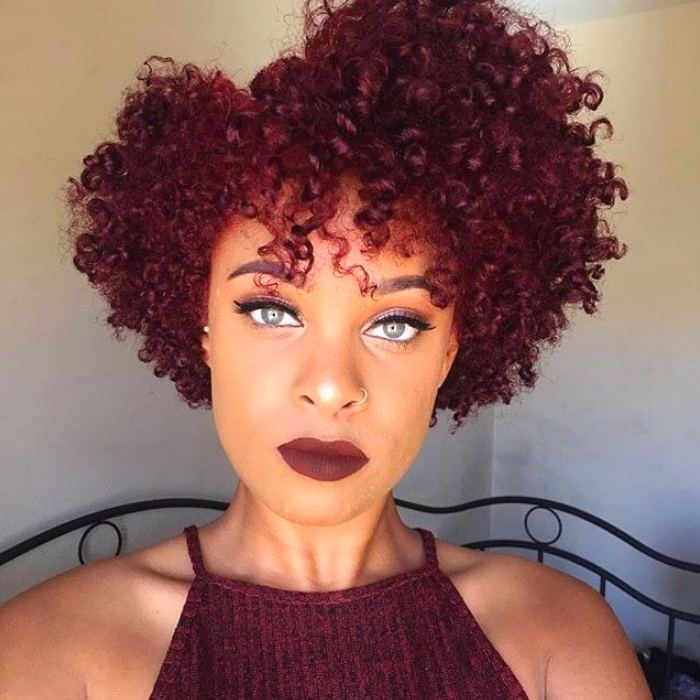 So if you’re going for a new trending style, this is definitely the mix of fall hair colors for you. Alright, we have to add some neutral blonde options into the hair colors for fall. Blonde is one of those colors you can pull off any time of year because it is such a classic. You could try a blonde ombre, or use some of these blonde hair highlight ideas. 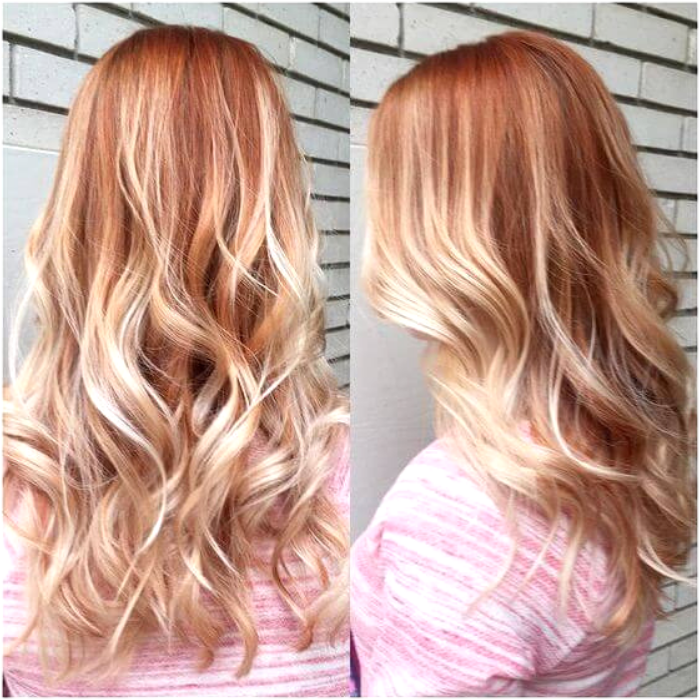 To make it more of a fall style, try mixing in some strawberry blonde with the bleach blonde highlights. 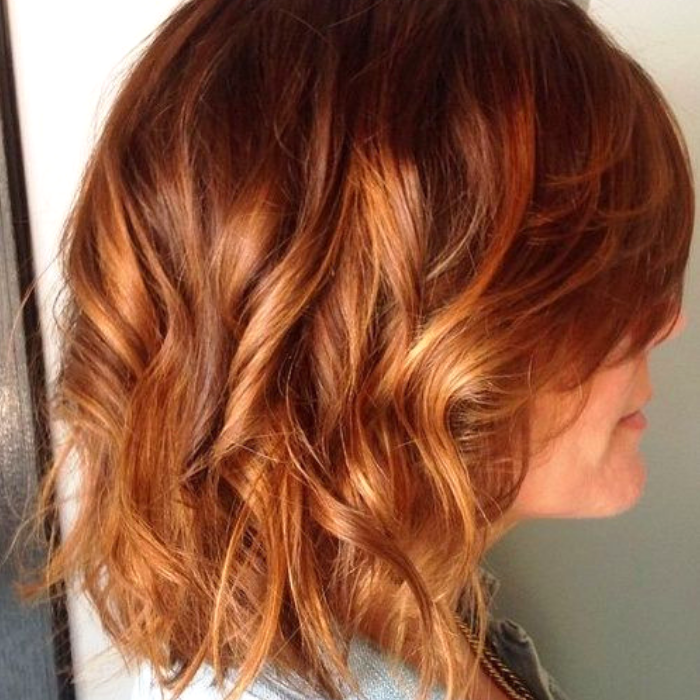 It makes it seem like you’re warming up your summer hair colors by adding warmer tones. This is also the time of year when warmer or coppery tones are acceptable. Most other times of the year I look at copper hair and feel like people just forgot to tone their hair properly. Brassy has never been very classy in my book. But I have to admit, I’m 100% wrong on that because I love the look of copper highlights or a copper ombre in natural hair. It’s cute and fits the season! When it comes to cool fall hair colors, an ash blonde or a silver are to die for. I have always wanted to try silver hair. It looks incredible, but the thing that always kept me away from it was the upkeep I would need to do. One time, I saw a woman with gorgeous silver hair…but her roots were coming in and it ruined everything. She had the same natural hair color I have, so I knew that if I tried this style I would have to keep up with it. But someday I’m going to crack and will have to try it. Another cool-toned style you could try is pastels. I really think of them as more of a summer or winter color. But there are such pretty hair colors that you can pull off with pastel colors. Especially rose gold or lilac. 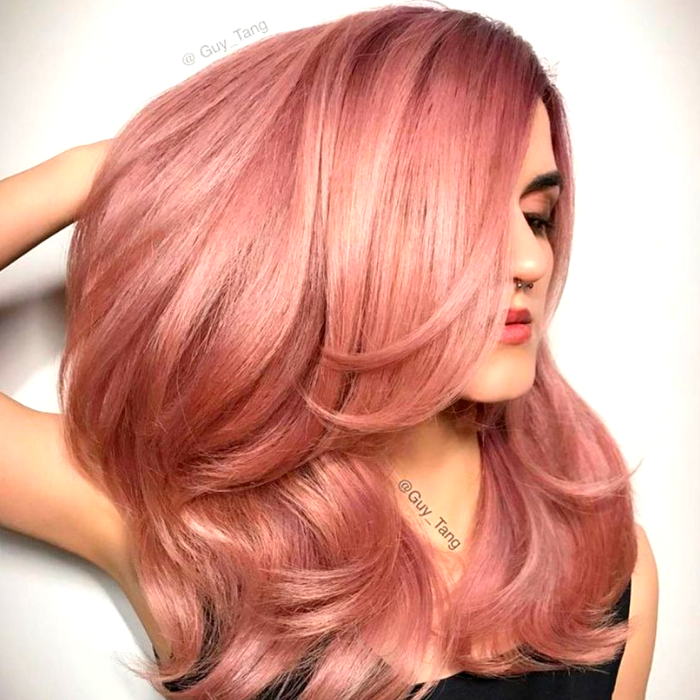 I currently have rose gold hair and it’s probably my favorite hair colors of all time. 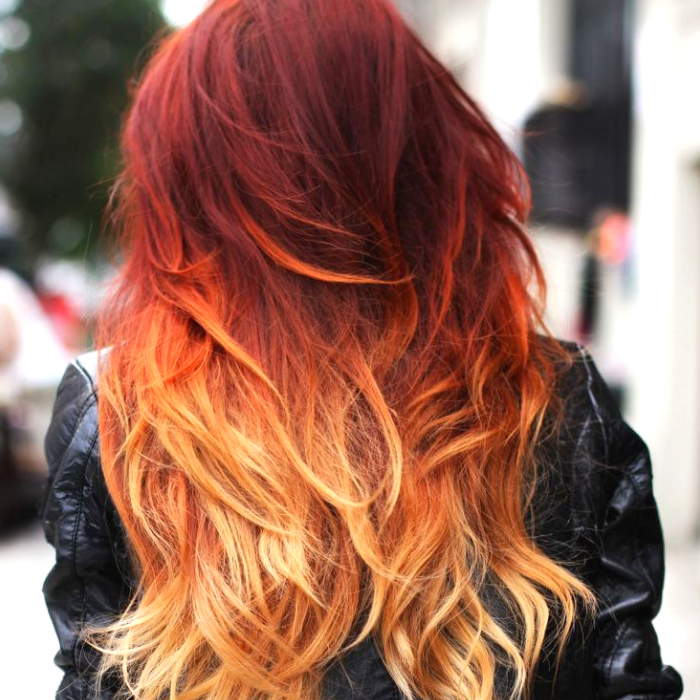 Fall hair colors have always revolved around warm colors. Autumn hair colors seem to be made up of warmer blonds, like golds. It is also the perfect time of year to try auburn or red hair color ideas that have been tempting you all year. Even if you don’t want to take the dive and go all gold, red, or burgundy you can just mix it in as highlights, balayage or ombre. That way you could get a feel for the color without making a drastic change. If you have brunette hair color ideas, I would say it’s time to go for it! As I said before, fall is all about warm colors. So all the clothing is going to be moving into warmer tones. So if you want your warm colored outfits to pop, pair it with some brunette hair. Fall hair color for brunettes can go a few different ways. You could try brunette with chocolate tones. Deep brown into a chestnut balayage, or you could even skip the brown altogether for a dark red. I used to do a burgundy or maroon in my hair. It was vivid and I loved it. Not to mention it made my eyes pop. But it’s a color I would only choose in the fall or winter months when everything feels so dull. My hair turns to a mousy brown and my skin gets super pale. So this pop of color is a nice change for me. If you’re feeling adventurous, I would recommend a super colorful hairstyle. It’s cute, it’s fun, and you will stand out in a crowd. But since it’s fall, you might want to go for a deeper color. Deep red, blue, or purple are great options. You can even get black hair dye that looks purple or red when it hits the sun. It’s much more subtle than a pink or turquoise. So it will be much easier to wear almost anything in your closet. I hope this lengthy guide to fall hair colors for women was helpful. I tried to cover my bases so that you would have a lot of different options. 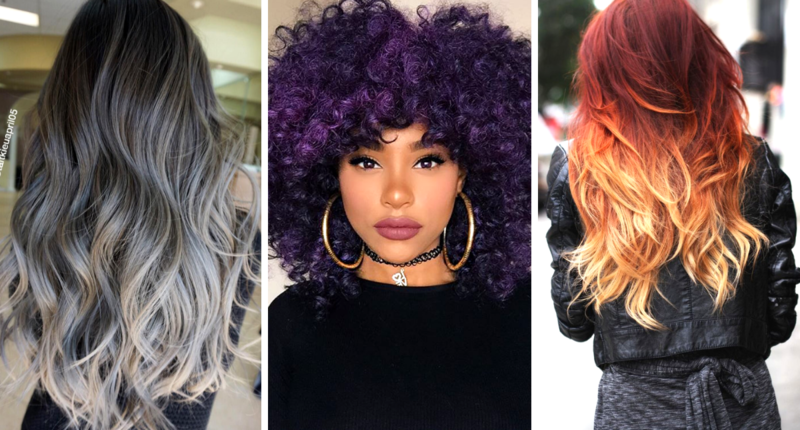 All in the hope I can at least give you a little inspiration for the perfect fall hair color for 2018! 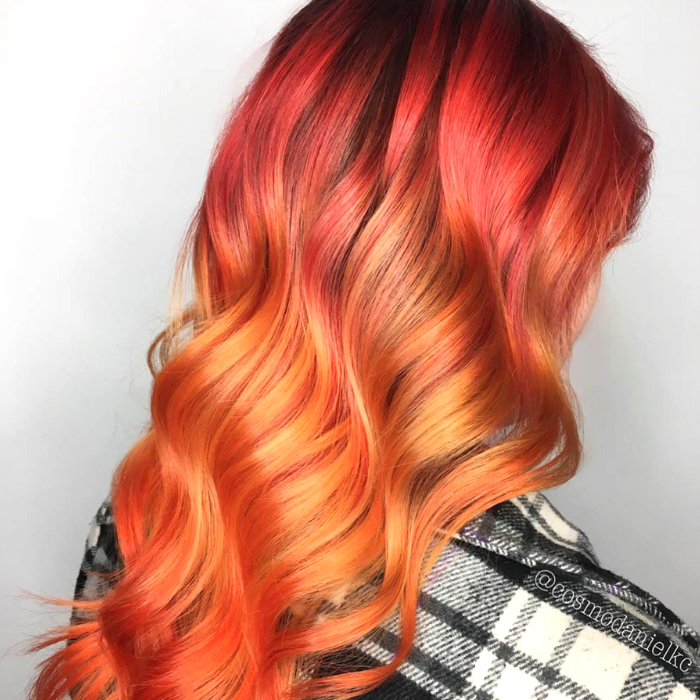 Fall is right around the bend and it’s a fun time of year to try a warmer color. Luckily, warmer colors look just as good in the winter! So you could pick a style and stick with it through the winter months if you want to! Just have fun with your hair and think outside the box. Dyeing your hair can be a great way to express yourself. If it doesn’t turn out the way you wanted it to, never fear. It’s just hair and it can always be dyed again! 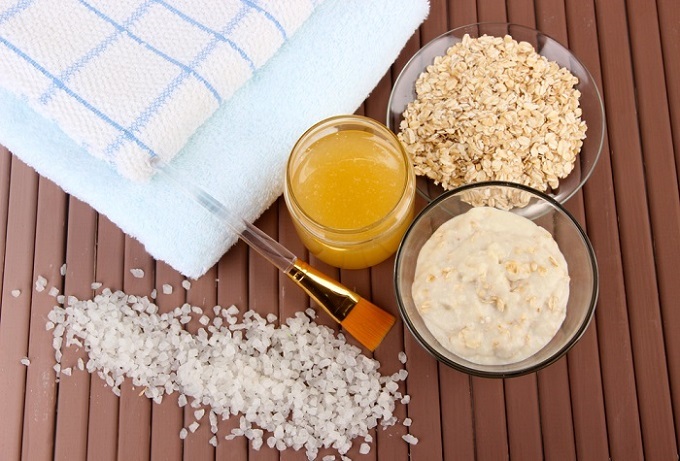 Previous article5 Best Skin Brighteners – Do They Really Work?